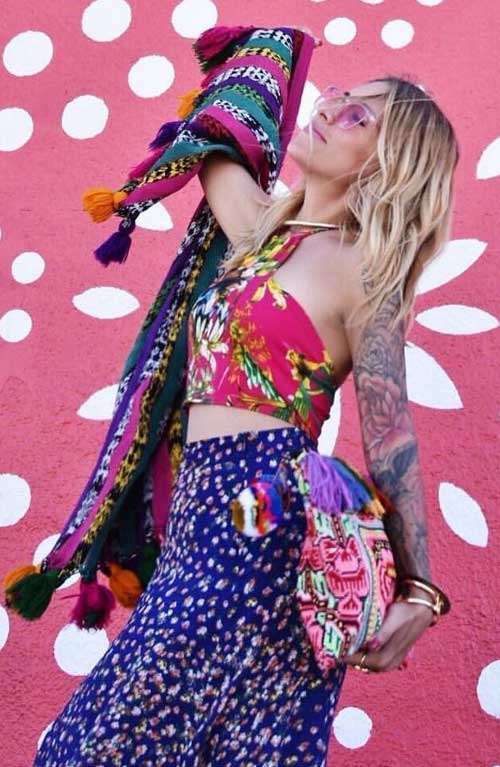 A bohemian clutch purse handmade with beautiful unique vintage fabric and colorful tassels. 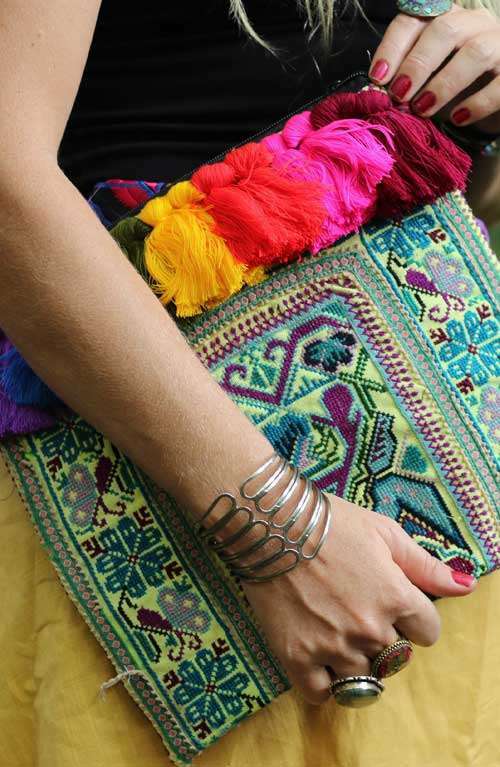 This vintage hand embroidered purse is the perfect clutch bag for all festive occasions. 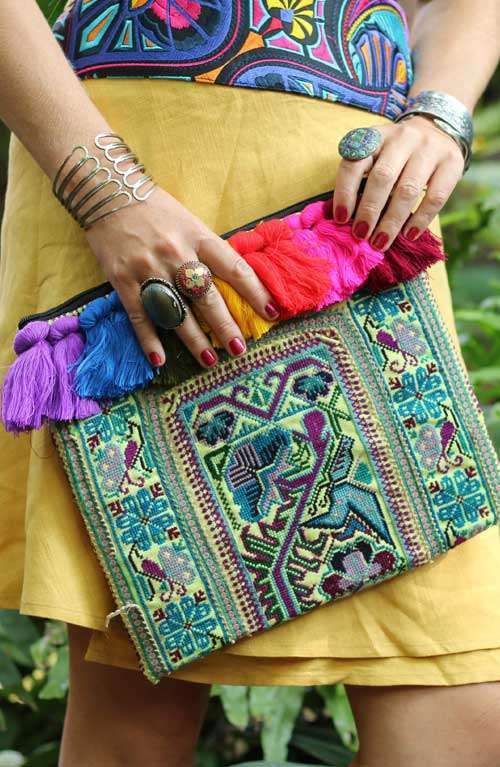 This boho clutch purse is handmade with love in Thailand. 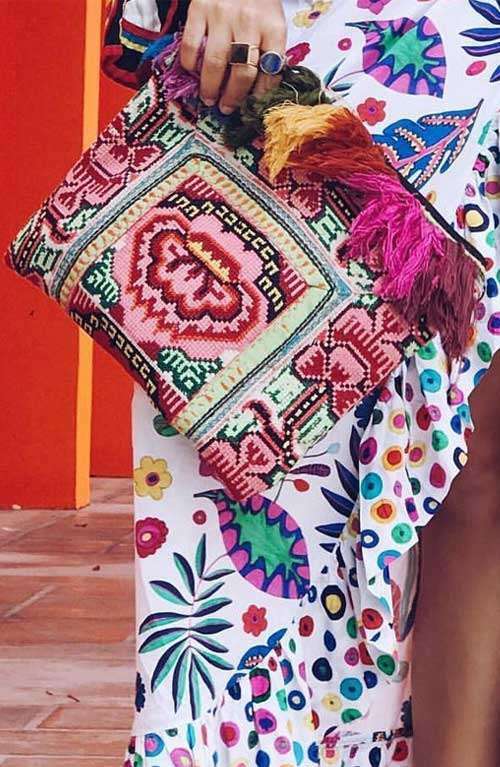 The embroidered purse is made with unique Hmong fabric and rainbow colored tassels. 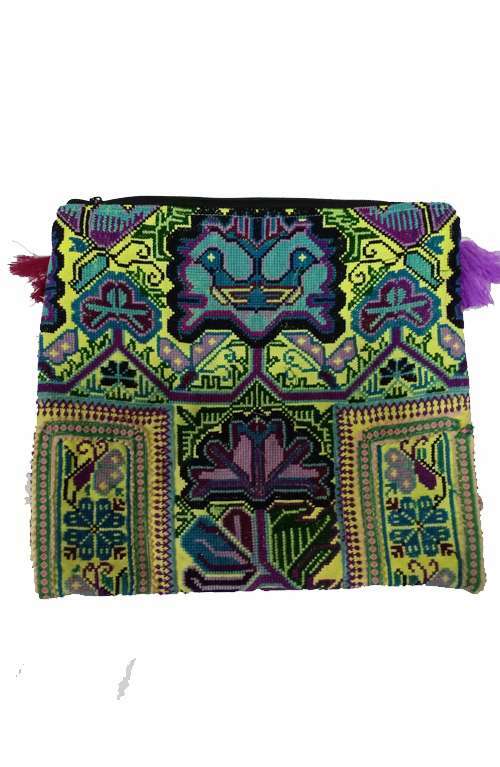 This clutch bag has a zipper opening and is fully lined inside with a small zipper pocket inside. 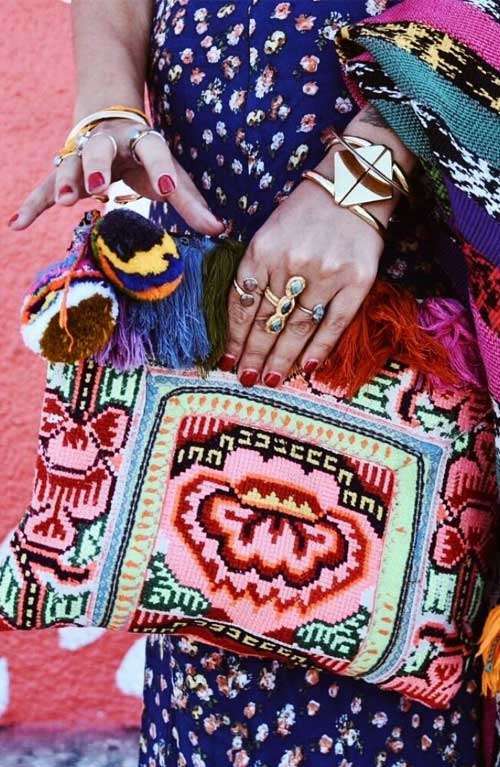 Please note: This bag is made with vintage fabrics, making each bag unique and one of a kind. We do our best to keep the same color scheme. 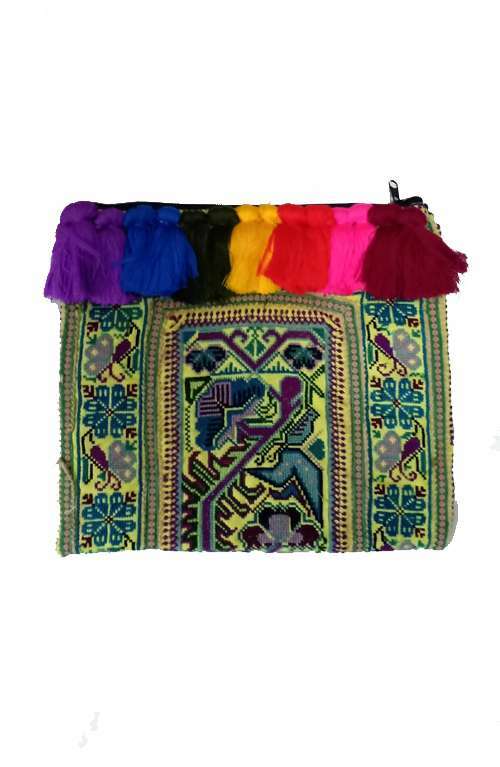 The purse is made to order taking 1-3 days to make.